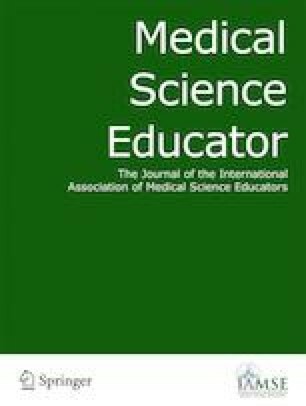 To explore the feasibility and impact of a brief mindfulness training for medical students and to learn about the perceptions, expectations, and problems associated with mindfulness practices in the context of medicine and medical education. Forty-one medical students were randomized into either an introductory mindfulness class only or an introductory mindfulness class plus an 8-week mindfulness meditation course. Quantitative and qualitative data were collected from both groups after the introductory class and again after the full course. Qualitative data was subject to close iterative reading as part of a grounded-theory-guided content analysis, generating a list of codes which were then assigned to statements and arranged into overarching themes. Mindfulness and awareness were negatively correlated with stress and depression. Students who took the full mindfulness course emerged with a greater familiarity with and willingness to utilize mindfulness modalities. There was no significant difference on wellness outcomes between the introductory-course-only group and the full-mindfulness-course group. Thematic analysis revealed student aspirations for a mindfulness alternative in medicine and medical education but also a recognition of the challenges inherent in applying such an alternative. A mindfulness course for medical students is feasible and has potential as a wellness and educational initiative. Shorter duration mindfulness interventions may increase accessibility without significantly reducing benefit. Interpretation of overarching themes derived from the grounded theory analysis illuminates the subject of mindfulness for medical students from the perspective of students themselves.